September 20, 2018 / Modified sep 20, 2018 9:48 a.m.
VIEW LARGER Raw sewage pools up near the Naco Port of Entry in Arizona after a pump was unable to handle the flow of effluent and ruptured. 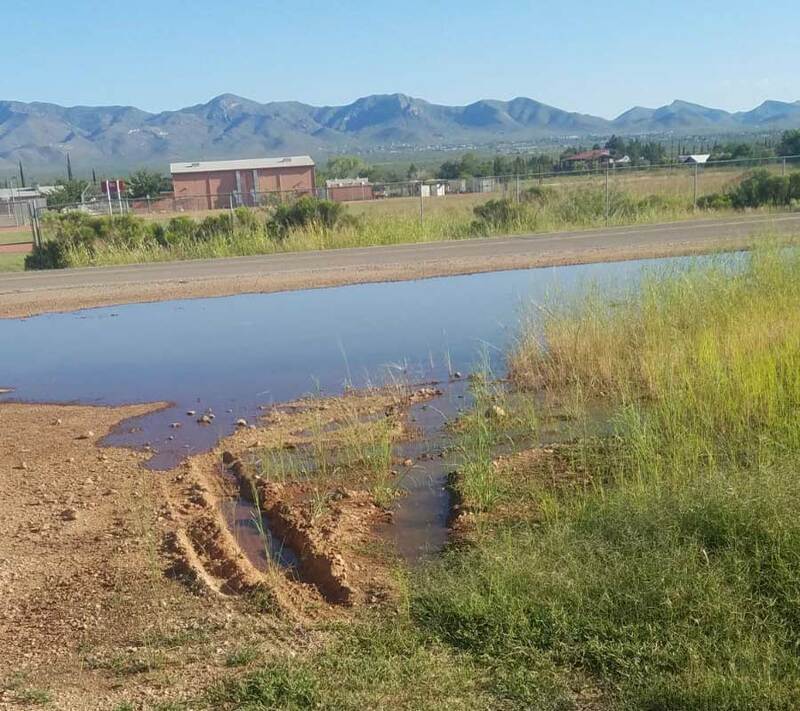 Health officials in Cochise County have called a town hall meeting for Friday night to address health concerns from a massive, ongoing sewage spill from Mexico. Ray Falkenberg with the Cochise Health Department says they're also organizing a vaccination clinic next week to protect residents against hepatitis and tetanus, which are spread by untreated waste. But that won't cover all the potential health risks. "There are other health issues that the flows raise, particularly mosquito breeding and then mosquito borne illnesses such as zika, chikungunya, and dengue, which are a possibility since they are right across the line in Mexico and those unfortunately are not vaccine preventable," Falkenberg said. The sewage spill began last week when a Mexican pipeline burst near Naco. It is not connected to a similar cross-border spill in the Nogales area earlier this year. The town hall is set for 6 p.m. Friday at Naco Elementary School.